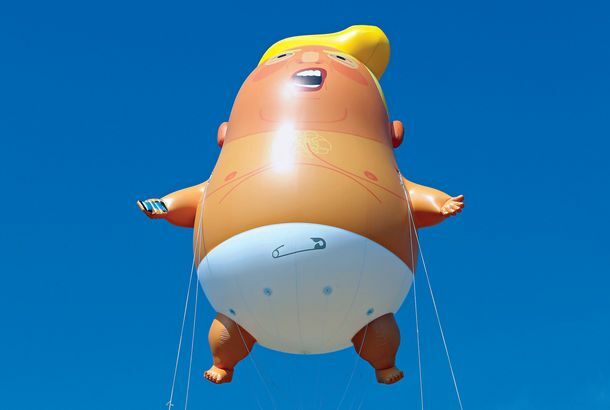 It Takes More Than ‘Adults in the Room’ to Control a Petulant Leader Like TrumpThere are parallels to Weimar failures in a too-forgiving GOP enamored by tax cuts. 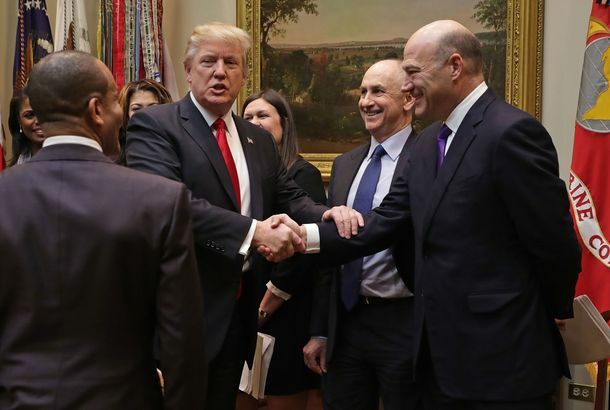 Trump: Gary Cohn Is a ‘Globalist’ But I Like Him AnywayThe departing White House chief economic adviser will be back, Trump said. Gary Cohn to Resign, Clearing the Way For Trump’s Trade WarThe White House just lost its influential opponent of dumb trade policies. 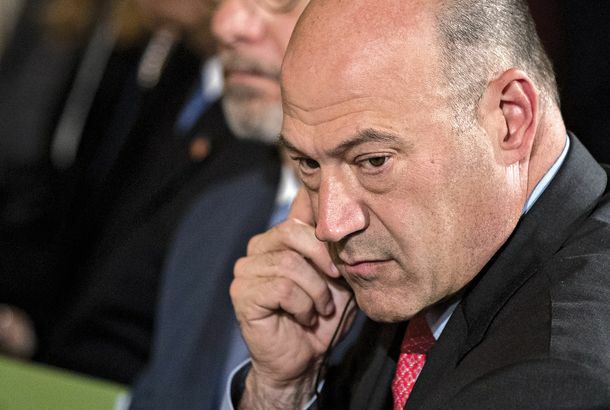 Senator: Gary Cohn Faked Bad Reception and Hung Up on Trump“… Sorry Mr. President … We’re losing you … Talk soon …” Click. Gary Cohn: ‘The Most Excited Group Out There Are Big CEOs, About Our Tax Plan’When Trump economic advisers fail at spin. Trump Administration ‘Can’t Guarantee’ Middle Class Won’t Pay Higher TaxesThe Republican tax-cut nightmare begins. Gary Cohn: Only ‘Morons’ Pay the Estate TaxYour populist government at work. Breitbart News Will Try to Force Trump to Be Trump, Whether He Likes It or NotYou can expect Breitbart News to intensify its efforts to get Trump to stay “populist”, even if it mean repudiating key family members and advisers. Gary Cohn Defies Nazis by Supporting Their Favorite President“I will not allow neo-Nazis ranting ‘Jews will not replace us’ to cause this Jew to leave his job.” That’ll show ‘em. Gary Cohn Has Profited From Big Mistakes. So Why Not Go Work for Trump?Watching a risky career move unfold in real time. 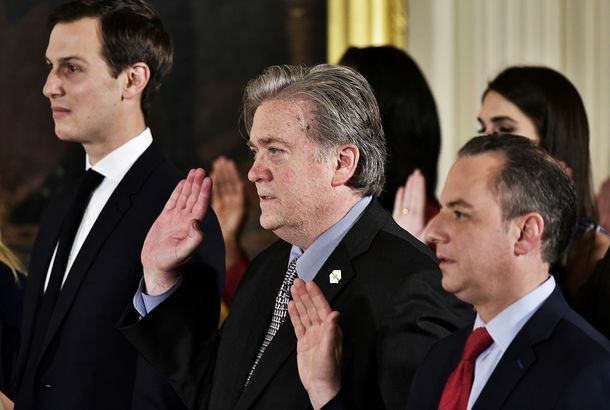 Trump’s Syria Strike Is Latest Sign of Steve Bannon’s Waning InfluenceTwo sources close to Bannon say he argued against the strike, on the grounds it didn’t serve America’s interests. Trump’s Top Economic Adviser Backs Breaking Up the Big BanksThe Trump administration has assembled a long list of popular, left-wing policies that it has shown no intention of actually trying to pass. Republicans Tearing Each Other to Pieces Over Trumpcare DebacleIt’s the Night of the Long Knives for the fine-tuned machine. Reports: Newest White House Feud Is Goldman Executives vs. the PopulistsGary Cohn is apparently playing the game of background thrones. Goldman Sachs President Gary Cohn Is a Rising Power in TrumpworldOne insider sees him as a potential chief of staff if Priebus stumbles. Trump Taps President of Goldman Sachs for National Economic CouncilKeep draining that swamp. Goldman No. 2 Angles for PromotionBut only when the time is right. Report Can’t Confirm What Words Bankers Used to Describe Reform, But Can Assure Us They Were Not NiceCockiness and disdain at Davos. It’s Business As Usual at This Year’s World Economic ForumDrinking openly is back at Davos. 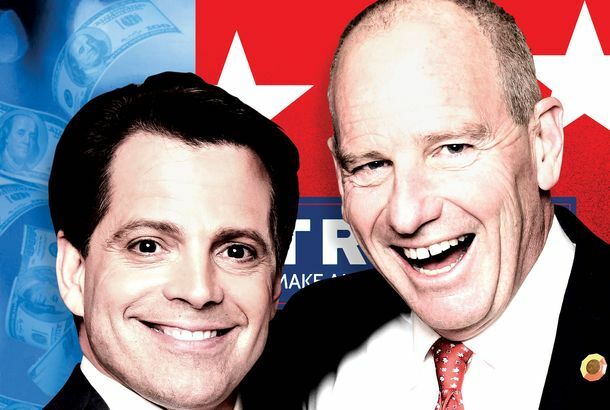 Gary Cohn Can’t Spell, But He Is Not StupidGoldman’s COO can immediately suss out who is a “retread” and who is not. What Were Gary Cohn and Lloyd Blankfein Whispering About During Obama’s Speech?Apparently, Obama’s use of the phrase “financial weapons of mass destruction” set off some whispers in the Goldman seats. Top Goldman Executive Gary Cohn to Attend Obama SpeechCOO to pierce president with laser eyes. Rules for Working at Goldman SachsExecutives at the bank have asked employees to tone down their behavior in order to avoid further public relations disasters.